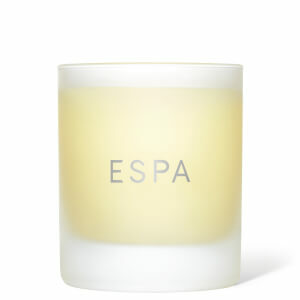 An aromatic blend of Peppermint, Eucalyptus, Lime and Rosemary to revitalise, enliven and awaken the senses. The house smells just like a Spa now. So fresh and welcoming..
Was given a diffuser as a present last Christmas & have repurchased a couple of times. Everyone comments on the amazing smell. I will be giving these as gifts this year & while having spent over budget for these gifts am excited to see & hear the reactions of the people I am giving them to. Smells great but hard to open! So the previous reviewer stated that they found it hard to open and that half of it ended up going everywhere. I brushed this off and when mine came I soon realized exactly what they were talking about. I'm 25 years old and really struggled to open it! Its a cork kind of lid with a metal part on top. So you're essentially trying to pull out the cork without everything going everywhere. I even called ESPA on the phone to make sure I was doing it right and she confirmed to me that its a bit tricky to pull out and that if I keep trying it should pull out eventually, if not then they would be happy to collect it and send me another. After trying really hard I was eventually able to get it open! It smells wonderful! I had originally ordered it for the bedroom but found it to be too uplifting for the bedroom but thats just a personal choice, I wanted my bedroom to be more relaxing so I have ordered the other one for the bedroom and this one in my bathroom/hallway, which suits perfectly there! The fragrance in the diffuser is really nice. However, I had real problems opening and in the end half the fragrance went everywhere! I tried to be careful and ease out the stopper. An expensive mistake! 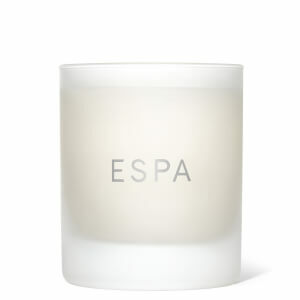 I love Espa but I don’t think I’d buy this product again. I have reported it and got the blanket customer ‘service’ email response. 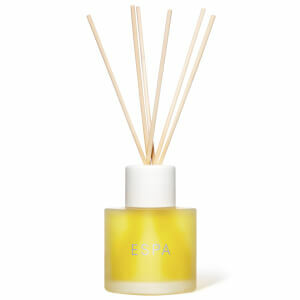 These reed diffusers are wonderful. I have one in the hall and it permeates almost all of my apartment. Friends always comment on it when they arrive and I do think it's a lovely way to welcome guests to my home. It may seem expensive to some for what it is but it lasts for a very long time and I'd hate to be without it. If you're dithering ... don't! Go ahead and order it. I promise, you won't be disappointed. Such a lovely perfume. Not overpowering but just as it should be a wonderfully subtle aroma. I had to place an order going to various addresses. I spoke to Rebecca Harding who gave me her email address so I was able to simply order in one request via her and not have to transmit each order separately on line.